A team of researchers based at the Universities of Oxford and Edinburgh have recreated for the first time the famous Draupner freak wave measured in the North Sea in 1995. The Draupner wave was one of the first confirmed observations of a freak wave in the ocean; it was observed on the 1st of January 1995 in the North Sea by measurements made on the Draupner Oil Platform. Freak waves are unexpectedly large in comparison to surrounding waves. They are difficult to predict, often appearing suddenly without warning, and are commonly attributed as probable causes for maritime catastrophes such as the sinking of large ships. The team of researchers set out to reproduce the Draupner wave under laboratory conditions to understand how this freak wave was formed in the ocean. They successfully achieved this reconstruction by creating the wave using two smaller wave groups and varying the crossing angle – the angle at which the two groups travel. It was the crossing angle between the two smaller groups that proved critical to the successful reconstruction. The researchers found it was only possible to reproduce the freak wave when the crossing angle between the two groups was approximately 120 degrees. When waves are not crossing, wave breaking limits the height that a wave can achieve. However, when waves cross at large angles, wave breaking behaviour changes and no longer limits the height a wave can achieve in the same manner. 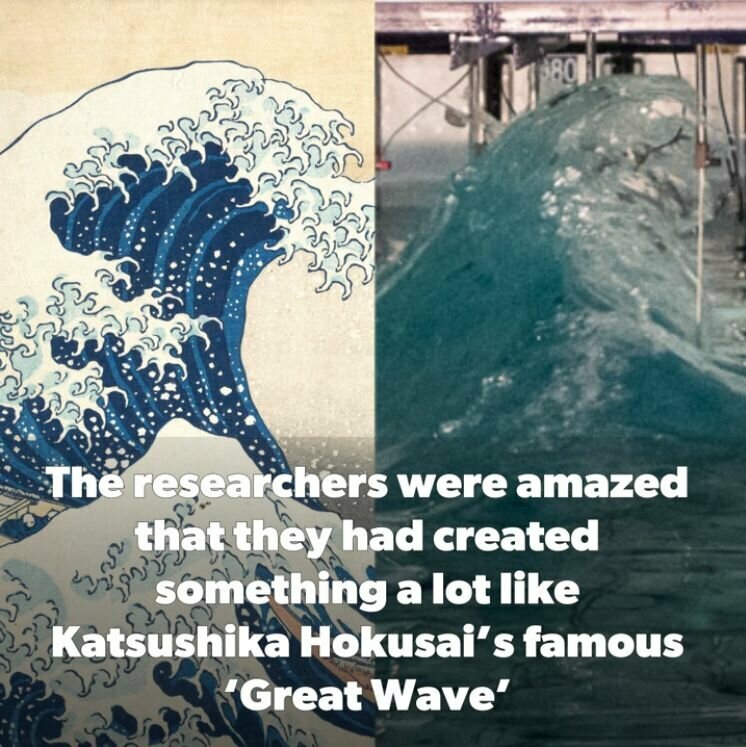 To the researchers’ amazement, the wave they created bore an uncanny resemblance to “The Great Wave off Kanagawa’ – also known as “The Great Wave’ – a woodblock print published in the early 1800s by the Japanese artist Katsushika Hokusai. Hokusai’s image depicts an enormous wave threatening three fishing boats and towers over Mount Fuji which appears in the background. 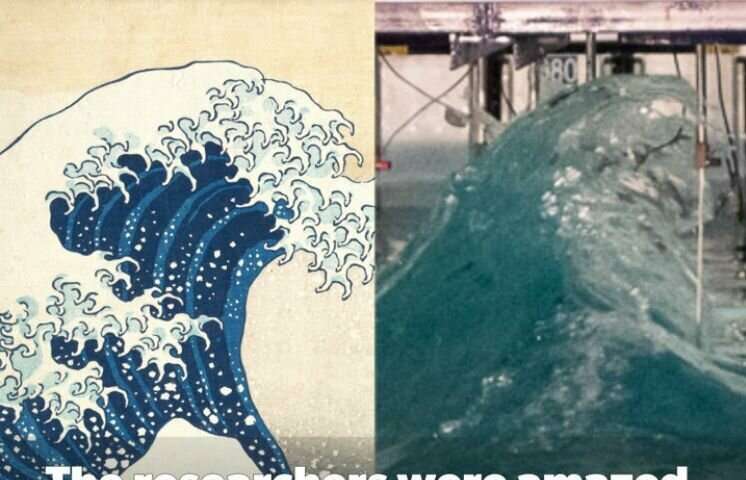 Hokusai’s wave is believed to depict a freak, or ‘rogue,” wave. The laboratory-created freak wave also bears strong resemblances with photographs of freak waves in the ocean. The researchers hope that this study will lay the groundwork for being able to predict these potentially catastrophic and hugely damaging waves that occur suddenly in the ocean without warning.